South African President Thabo Mbeki leaves for Kinshasha tomorrow, to co-chair the South Africa/Democratic Republic of Congo bi-national commission. 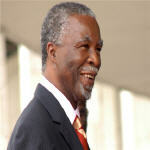 The foreign affairs department says Mbeki would co-chair the commission with his counterpart President Joseph Kabila. Leaders of the Southern African Development Community were converging in Lusaka, Zambia, on Wednesday for a summit of regional heads of state to begin Thursday and which SADC and other sources said will focus substantially on the Zimbabwe crisis. The Democratic Republic of Congo (DRC) will continue with military operations against elements from the Democratic Forces for the Liberation of Rwanda (FDLR), who are holing up in the east of the country, General Mayala, a regional army commander, has said. Ugandan Foreign Minister Sam Kutesa says his country has no plans to attack the Democratic Republic of Congo, but will defend its own territory. 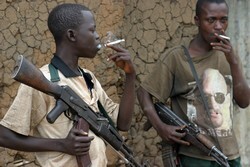 More attention is needed for the treatment of severe trauma suffered by many former child soldiers recruited to militias in northern Uganda and the Democratic Republic of the Congo, DRC, according to a new study. 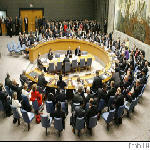 The Security Council today extended by six months its arms embargo against militia groups operating in the Democratic Republic of the Congo (DRC) and condemned the continuing illicit flow of weapons into and around the vast African country. 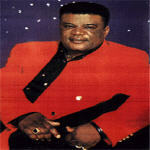 Renowned Congolese musician Madilu System passed away on Saturday at the University of Kinshasa Hospital Center after a short illness. He was 55. For the planet's ever shrinking wilderness, a combination of political instability and geographic isolation could be seen as a blessing. 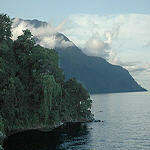 In the few remaining places where human influence is light, nature can prosper?and even multiply. Often the women are kidnapped while working in the fields or on the way to fetch water, food or firewood. Often kidnappings occur during raids of villages by armed attackers, who often come in groups of two to five.The victims are taken from the villages into the forest where they are held captive and are gang raped for days or months.